Sunday was 70 degrees. I hate the warm weather. I especially hate when the weather is warm in winter. This only reminds me how much I hate warm weather the rest of the year. Why? Because in the Big Dirty Apple, that is the time that every one under 30 strolls up and down the 3rd Avenue bar scene with their peach skin faces, cellulite free giraffe legs and short little skirts seeking hot, tight bodied young males. even wear turtle necks anymore. I’ve told myself it’s just the ten pounds I want to lose. (VERY lousy because I work for a company that specializes in weight loss. They don’t tell you when you join the company that there is tons of fattening food in the kitchen, and that the pressure of the job causes you to stress eat that very junk food, so you gain 10 pounds. And then, owner sends an email around telling everyone that she is going on a diet to lose the weight she’s gained from unhealthy eating and if everyone in the company who needs to lose weight does within 3 months, the company will pay for your gym membership. And then, after you lose the weight that you originally gained from the stress of working there, you can become a success story.) Did you get that? 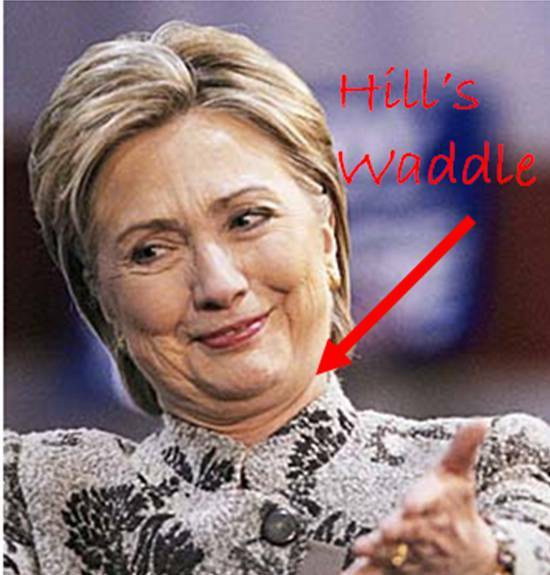 Ok, the waddle. My mother says that I need to do the following exercise. The Waddle from Lara Dean on Vimeo. *Surgeried: – One who has had multiple surgeries to improve their physical appearance even if they don’t need it. **Bravened: – more brave than usual so as to speak up when someone hurts your feelings rather than hide it inside and speak badly about them behind their backs.